Democratic Sen. Kirsten Gillibrand of New York promised Thursday night not to run for president in 2020 but to stay in the Senate for a full second term if re-elected next month. “I will serve my six-year term,” Gillibrand stated as she underlined her commitment to her current office and to the state, where she says she has vigorously campaigned. 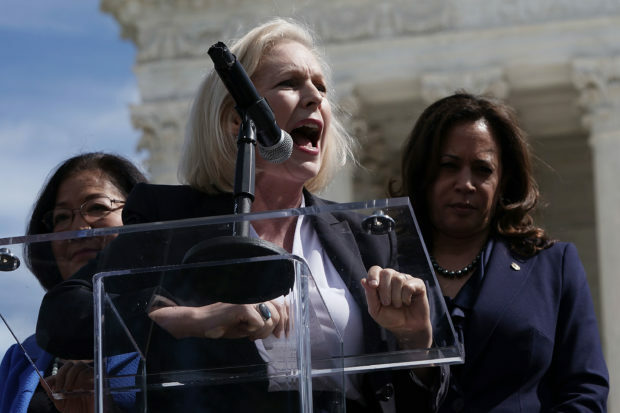 Nonetheless, Gillibrand’s name is frequently mentioned as a possible presidential contender, but is way behind favorites like former Vice President Joe Biden. Farley was quick to question the sincerity and veracity of Gillibrand’s promise, telling the debate audience, “Honestly, I don’t believe that,” citing Gillibrand’s willingness to campaign just as vigorously in other states for other candidates. Gillibrand is expected to win her Senate race in New York.